This is a sneak preview of the Rifts® Vampires Sourcebook. This sneak preview includes the front cover, credits, contents, the latest on Doc Reid and his plans for war against the Vampire Kingdoms, an updated map of the Vampire Kingdoms and notable human outposts, the new Bone Werejaguars of Palenque, and experience tables for the O.C.C.s and R.C.C.s found in Vampires Sourcebook and Vampire Kingdoms. 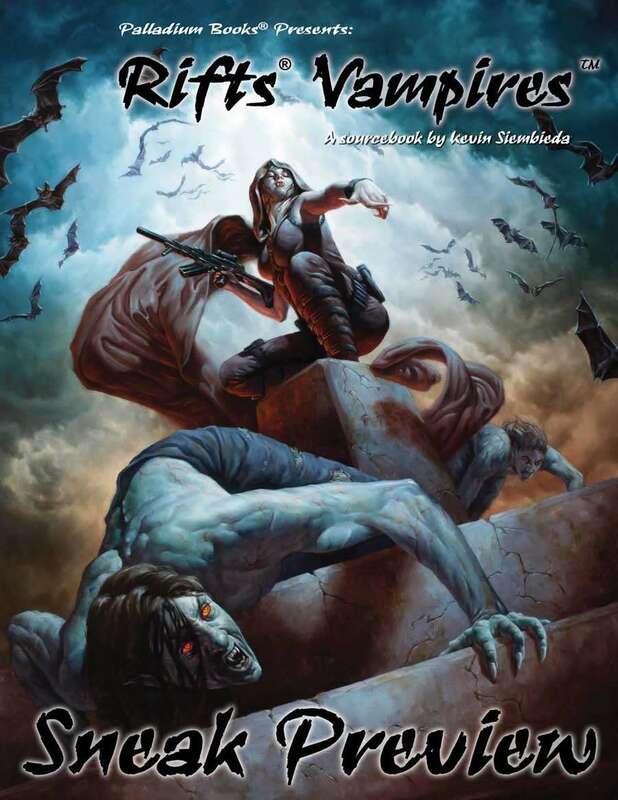 Rifts® Vampires Sourcebook will be available from Palladium Books in mid-April, 2013. For more information, visit www.palladiumbooks.com.